Thankfully here in the Borderland, we don’t experience the severe winters of the north. However, we’re no stranger the occasional snow and freezing temperatures. El Paso’s unpredictable winter weather can make the maintenance on our homes a bit tricky, especially when it comes to our home’s roof. During the cooler months of the year, our roofs can see a number of issues, many of which may be prevented. All it takes is a bit of work on your end, and your roof can be protected. Is your roof missing a couple of shingles? Does your attic have a few pockets of the sun coming in through the roof? These are two of the most common signs that your roof is susceptible to a leak. You’ll want to take care of these small but manageable problems right away. The possibility of any water getting inside the home can lead to more problematic issues such as mold. 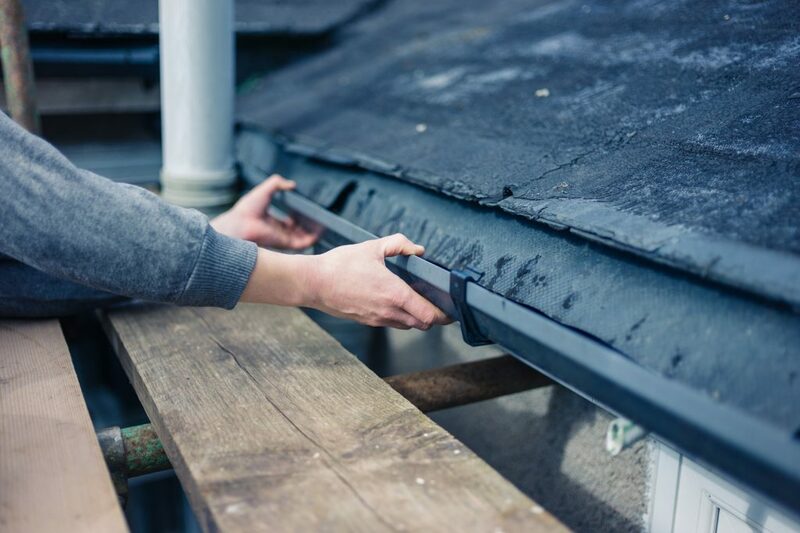 Once you replace missing singles and have it professionally inspected, you can rest easy knowing that if it snows or rains, your roof is protected. In addition to missing shingles, damaged flashing is another risk of roof leaks. Since flashing connects your roof to other important parts of your home like your windows, vents, chimneys, and skylight, damaged flashing can have a significant impact on the rest of your home. Keeping it in good condition involves inspecting it to make sure it’s properly in place and there are no leaks in sight. The sight of leaves falling is certainly picturesque, especially as an El Paso resident who may be longing for a true fall season. But if you’re a homeowner who is well aware of the negative impact of loose leaves on your home, then you probably can’t wait to rack them up! Loose leaves and fallen branches can cause damage to your roof in a couple of different ways. Branches can damage your flashing while leaves if wet, can clump up and eventually rot leading to damage to your shingles. If El Paso does see snow this winter, once the snow melts on leaves, it can create pressure on the beams of your roof, essentially weakening them. It’s recommended to have your roof inspected at least twice a year: before the start of winter and before the summer. A roof inspection is intended to trouble spot any issues so that they can be corrected. Even if the roof on your home is less than five years old, having it professionally inspected can help you avoid costly damage. When you need any roof repair work done in El Paso, El Paso Roofing is the place to call! We’ll ensure your roof is prepared for any and all weather conditions. Give us a call today.